Through the use of the revolutionary Alpha Beta Scale, users can monitor mental, emotional and behavioural state changes to become aware of triggers and trends that affect their day-to-day lives. If you’re attempting to reach the next stage of personal evolution, or if you’re struggling with any kind of issue, monitor what’s going on and take command of your life with the Zone Tracker App. Whether it’s issues with values, health, finances, careers, interests, domestics, contribution, sleep or relationships, the app provides you with an overview of your lifestyle, based on your personal inputs. 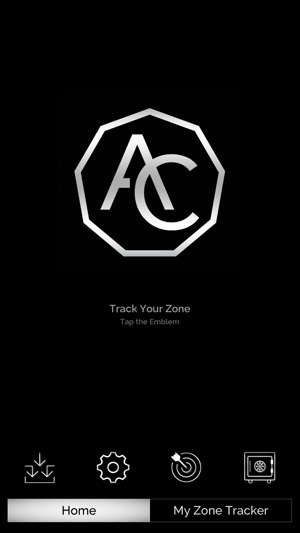 Take control of each area and use The Alpha Complex’s Zone Tracker App to get the most out of life. Remember, if you can measure it, you can manage it. Engage the program now. The Zone Tracker app helps you track your state and identify triggers and trends that affect your psychological, emotional and physical fitness. Since using the app, I’ve quit smoking, exercised more regularly and been more productive at work. The goal setting facility ensures there is no end to how much progress I can make, and so I can keep work towards better versions of myself every day. 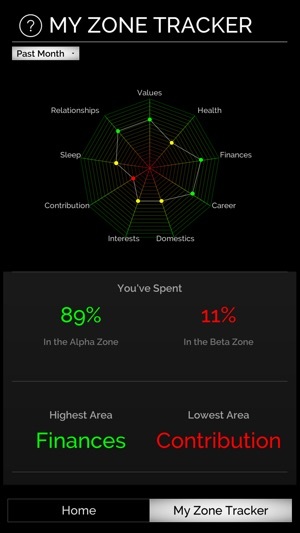 Download the app, let all the undeals out, and live a life in The Alpha Zone. Making me feel more confident. 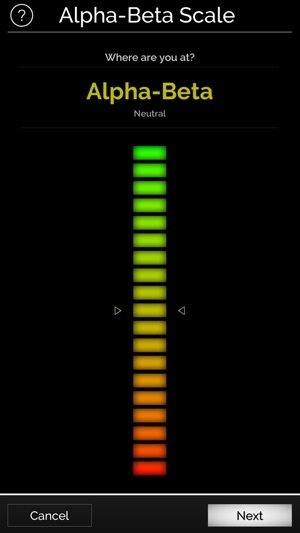 Since downloading this app, I have been able to understand what puts me in different mental states. By implementing this in my daily routine I am able to identify what can trigger me to enter the beta zone and avoid going there. Improving my mental state through each day and feel more confident within myself. I’ve found the app to be incredibly insightful, even when using for a short period of time. You get a great idea of which areas in your life you could improve and it’s really interesting to reflect on how your week/month has gone.